The wording of Murray’s announcement indicated that it was the final nail in the coffin for his professional baseball career. Murray was the ninth overall pick in the Major League Baseball draft by the Oakland Athletics, but has wavered on his commitment to baseball in recent months. He declared for the NFL draft in January, but all that did was ensure he could not play college football again. Monday’s announcement made it seem like Murray is in it for the long haul with regards to playing football. What does this mean for April’s NFL draft? Murray’s presence could significantly shake up the first round. Most pundits generally agree that three other quarterbacks besides Murray could be first-round picks this year, but this is not considered a strong draft class at the position. A signal-caller as talented as Murray will be tantalizing for teams in need of a superstar at the position, but he is not without flaws. At just 5’10’’ and 195 pounds, NFL teams could be wary of his ability to withstand hits from NFL defenders. Even Seattle Seahawks QB Russell Wilson is an inch taller than Murray. 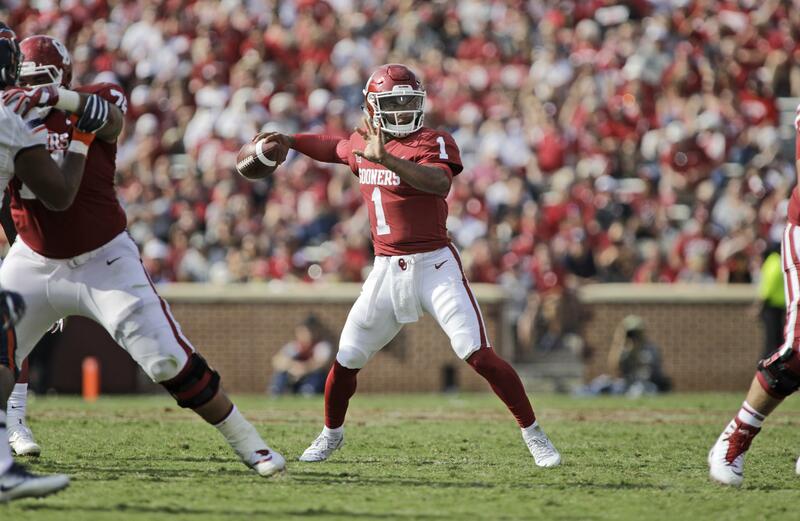 Still, Murray threw for 4,361 yards, 42 touchdowns and seven interceptions last year, outpacing even former Oklahoma star Baker Mayfield statistically. He also ran for 1,001 yards and 12 touchdowns. Mock drafts have Murray being taken as high as the top five and as low as the middle of the first round. He will have a chance to prove to NFL teams that his build is not a problem at the upcoming Scouting Combine.